After Stephen’s death by stoning, the apostles gather solemnly at the safe house to pray over his body and put his soul to rest. 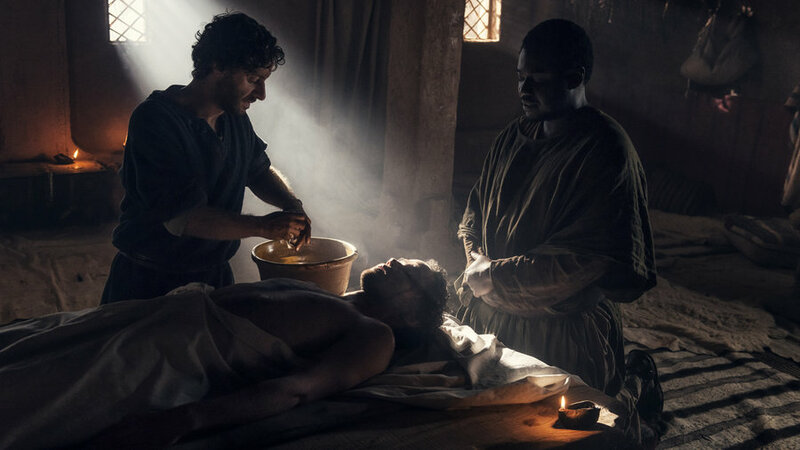 Back at the camp, Barnabas tells Phillip that he dreamt that Stephen wouldn’t be the last of them to die. The two men notice a stranger entering the camp, who introduces himself as Saul – scholar, Jew, Roman, Pharisee and defender of the Temple of Jerusalem. “I’ve come to teach you about the wrath you’ll bring down on yourselves if you don’t end your blasphemy,” he says, claiming Jesus was nothing more than a false prophet. 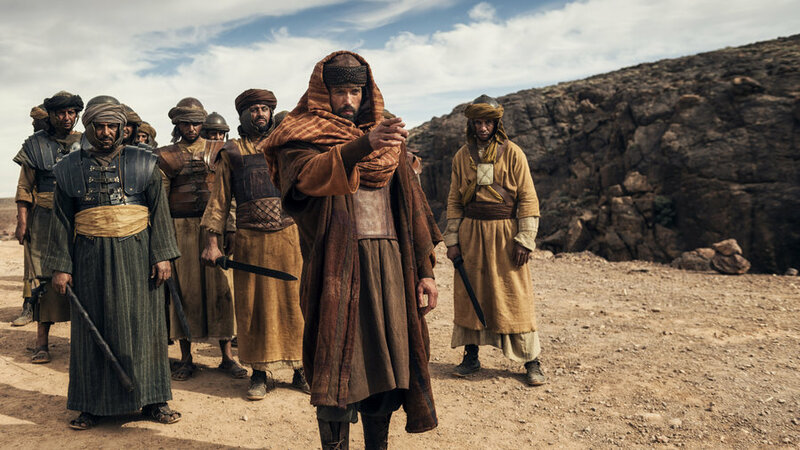 One thing is clear to Barnabas: Saul’s presence in the camp is a threatening one. While walking through the market, Annas questions his son Jonathan: can he not see that Caiaphas must be replaced, because of his involvement with Pilate? When Jonathan points out that Annas is plotting against his own son-in-law, Annas waves him off. The Sanhedrin is looking for Caiaphas’ successor and now the family needs Jonathan to step up. Caiaphas is none too happy to play host to Leah’s family, and less happy still to discover that Antipas and Herodias have invited themselves to stay for the Purim festival. On their way, the royal couple stops off to survey the Nazarene’s camp. Who knew it was so close to Jerusalem – and so densely populated? Over dinner, they admit that Purim was a useful excuse for them to check to see if the city still stands after Pilate’s recent wave of crucifixions. Annas and Jonathan steer the conversation towards the Nazarene’s encampment, sowing seeds of doubt against Caiaphas. It’s all good sport for Herodias and Antipas, who would prefer not to choose between Caiaphas and Jonathan. Nevertheless, he knows he’ll have to throw his support behind one of them, and then let Pilate have the responsibility of dealing with the fallout. Emperor Tiberius arrives in Jerusalem to decide Pilate’s fate-along with his debauched and dangerous nephew Caligula.